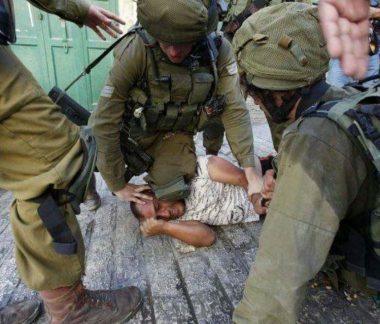 Israeli soldiers assaulted and briefly detained, Saturday, three Palestinian workers from ‘Aida refugee camp, north of the West Bank city of Bethlehem, causing various cuts and bruises, before they were rushed to a local hospital. The soldiers chased a group of workers, who were trying to enter occupied Jerusalem, in an area in the al-Walaja village, west of Bethlehem. Eyewitnesses said the soldiers detained three of the workers, all from Abu Srour family, and repeatedly beat them up, before abducting and briefly detaining them. After their release, the three were rushed by Palestinian medics to Beit Jala hospital, and their wounds were described as moderate.